What kind of experience can you expect when using the herbal botanical Kratom and what products should you turn to for the best results? 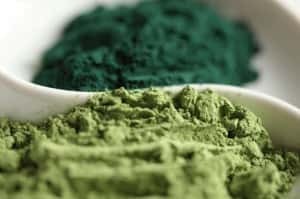 Users world-wide have sounded off on their positive experiences to help you determine whether or not Kratom powder is right for you. On message boards across the internet, a healthy and spirited debate is well underway. Which strains are the most potent? What’s the best way to consume kratom? 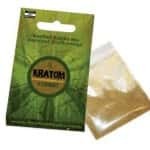 Where are the best sites to purchase kratom products? Take these fan favorite picks as your own personal recommendations for which kratom experience you’d like to try in the coming year. When you turn to one of the many kratom forum boards online, you’re most likely to see a barrage of questions like, “What is the quality of kratom from Bali?” or “Is Ultra Enhanced Indo generally more relaxing or stimulating?” While you may find a diverse range of different answers to even these simple questions, the kratom community ultimately does come to consensus on the basics. Over and over again, we see Thailand mentioned as the source of excellent leaves. This is not that mysterious an answer, as Thailand is one of the original homelands for natural kratom growth. The balmy climate and rich soils of Thailand have traditionally been the perfect setting for the Mitragyna Speciosa tree. Users praise Thai strains as particularly “smooth,” “relaxing,” and “consistent,” producing kratom experiences of median duration with little or no side effects. This reliable producer may not have the most extreme or newfangled products, but that is not a drawback – with Thai kratom you can get predictably good results every time. Of course, each strain of kratom will naturally produce different physical and emotional effects. Which one the average user prefers can be influenced by very personal variables, from body type, to simply the type of benefits one is looking for in any given day. However, one strain of has been mentioned more this year than any other, as a standout star among new favorites. That strain is Maeng Da, also known as “pimp grade” kratom. 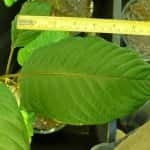 Hailed across the internet as the strongest strain to come along in quite a while, kratom experiences with Maeng Da have been widely reported as “very strong,” with effects appearing “lightning fast” at “maximum intensity.” Users love its incredible potency, and often recommend that novices work their way up gradually to such a strong product. One of the more fun topics that kratom enthusiasts debate is how to actually consume this plant. Kratom’s potent alkaloids interact with the cells in our bodies best when they are ingested orally. This has led to countless innovative recipes for kratom-infused food and drink. However, for many years in a row, users online have agreed that the best way to consume kratom is the most classic way – mixed with orange juice. Stirring a teaspoon of dry kratom powder into a half glass of orange juice and mixing well is once again the number one favorite way to ingest the product. 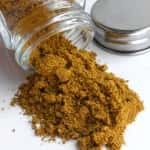 Orange juice eliminates most of the bitterness from the herbal remedy, adding a sweetness which makes consuming kratom a breeze. When it comes to buying kratom online, user reviews and testimonials about individual websites are an utterly invaluable tool. We often have little information to go on with new online vendors, so the words of fellow consumers who have done business with these sites can become a very trustworthy indicator of what the shopping experience will be like. 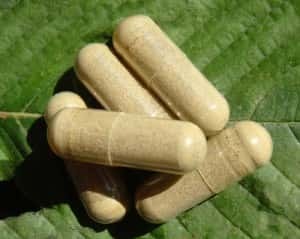 There are a few very reputable sites that get mentioned frequently among users, but one kratom seller gets mentioned more than the rest – Arena Ethnobotanicals. Consistently receiving high marks for selection, price, speed of shipping, customer service, return policy, and privacy/security, Arena Ethnobotanicals has emerged as a clear favorite this year. For that reason, after careful review we feel confident directing users to their site for a wide range excellent kratom products. The final vote in the best kratom experiences for 2014 comes from you. Think about your recent favorite countries, strains, recipes, and vendors, and then share your opinion with the world. 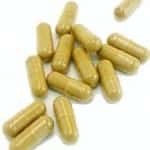 The friendly, informative community of global kratom reviewers is indicative of the good nature of kratom itself – a beneficial, life-enhancing natural remedy.